Detoxes seem to be all the rage, at the moment. Whether you swear by them or think they're a load of rubbish, everyone is talking about the trend. I'm not usually one to fall for a fad, but I am really into my heath and fitness (aside from the occasional Domino's lapse, of course). 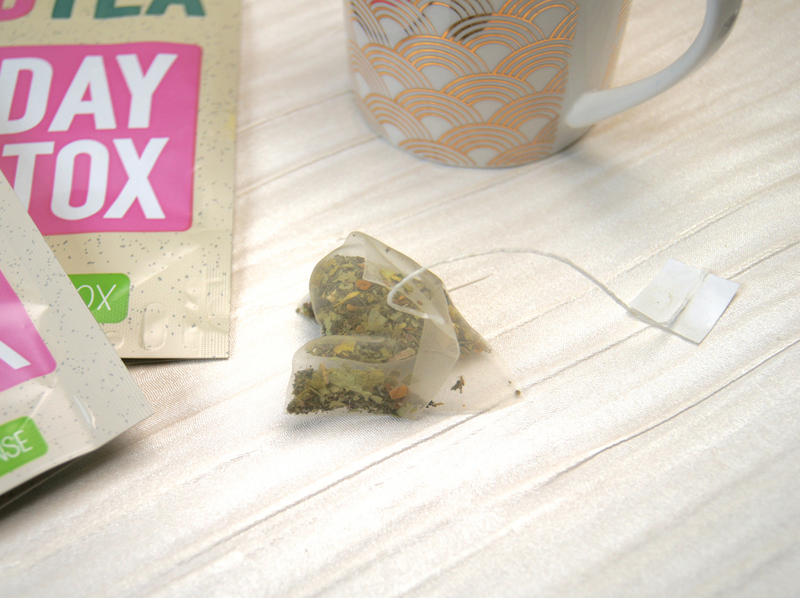 After suffering from a bout of tummy trouble recently, I thought that doing a detox would give my body a kick in the right direction and so I jumped on the Bootea Teatox bandwagon. Now that I've finished the two-week course, I thought I'd review my experience and share my results with you. Many people use a teatox to get the ball rolling with a diet, or for a quick-fix, weight-loss solution ahead of a special occasion. Personally, shedding some pounds isn't a concern for me and I'd never encourage the use of extreme weight-loss products, favouring healthy eating and exercise instead. So, this experience was more about making me feel better on the inside and ridding my body of any toxins that may be lurking around in the gut department. But, if you are going to embark on a cleanse, then it goes without saying that it's a good idea to try and eat as clean and green as possible whilst detoxing, as well as incorporating exercise into your routine, to maximize your results. 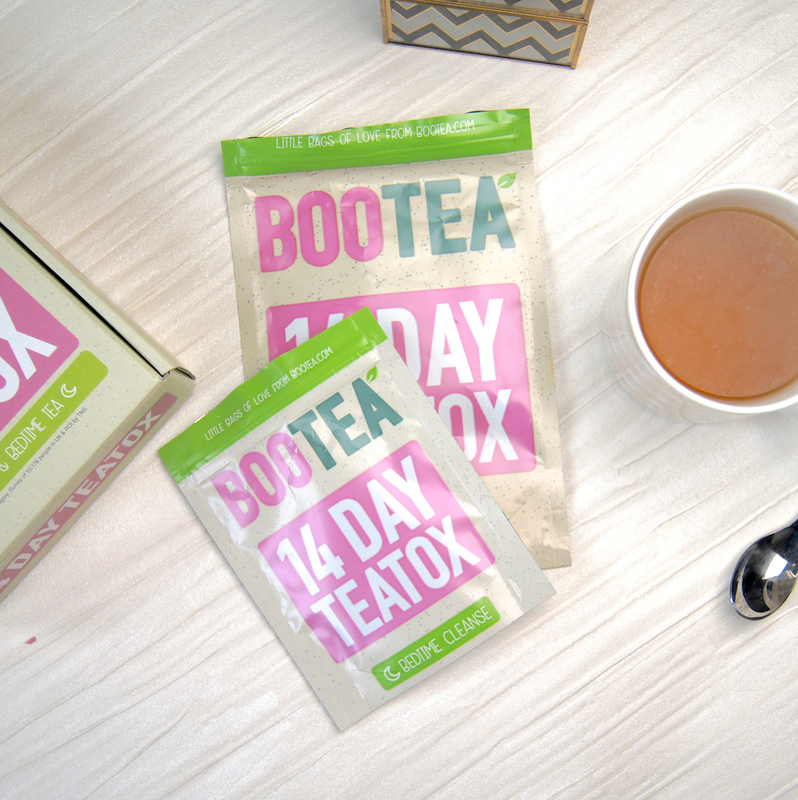 There is an eating plan that Bootea have devised to be followed alongside the teatox, but I personally didn't try it. One thing that gave me negative preconceptions about detoxes before, is that many consist of only consuming a set number of drinks throughout the day, over the course of a week or so. In my opinion, that's far too extreme and, although it may work for some, I know I'd never want to go without solid food. The difference with Bootea, is that you don't have to drastically change anything about your daily routine. Simply, you drink a cup of tea as soon as you wake up and a different tea before you go to bed, on alternate evenings. Easy peasy. Drinking copious amounts of green tea (around six cups, at least) on a daily basis is something that I'm already used to, so it wasn't a chore for me to gulp down a couple extra. The morning tea is definitely more of an acquired taste, but you soon get used to the earthy flavour and it's much easier to stomach the night-time tea, which has a hint of mint to it. Unlike other, similar products, Bootea are very transparent about what exactly is in their teabags. Aimed at detoxifying the body, boosting metabolism and suppressing appetite, the morning tea is made up of Chinese Oolong tea, Mate leaves, Ginger root, Fennel Seeds, Lemongrass, Dandelion leaf, Ginseng root, Gotu Kola leaves and Nettle leaves. The night-time tea includes more ingredients to help to eliminate any nasties from the body. To give this tea its cleansing properties, they use Senna leaves, a natural laxative, along with Peppermint leaves, Fenugreek seeds, Liquorice root, Burdock root, Hawthorn leaves, Valerian root, Psyllium seeds. After reading some horror stories about Bootea and similar products, I was nervous about first starting the teatox. I'd heard that people were in horrendous pain, had awful bloating and would experience some sudden, unpleasant urges in situations when they were caught short with no bathroom in sight. Nightmare. Fortunately, my experience was a little less eventful. For the first, few days, I didn't feel any different. Towards the end of the first week, though, I began to notice some side effects, including an uncomfortable feeling in my stomach, after drinking my morning tea. I tend to work out just after waking, so exercising with the tea sloshing around in my tummy wasn't always the nicest. Occasionally, when in bed after drinking the night-time tea, I'd get some cramps in my stomach and I could feel the Senna getting to work, if you catch my drift. Without being too graphic, I'd say the detox made me more regular, but didn't make a huge difference to 'movements'. Only on one morning were things much looser, but other than that, there were no embarrassing accidents to entertain you with there, I'm afraid. I did notice an increase in the amount I went for a wee, though, which I presume was my body getting rid of excess water. As a result, I would get more thirsty than usual and felt quickly dehydrated if I didn't increase my water intake. It's actually now, after completing the teatox, that I've noticed the most difference in my body. I don't ever weigh myself, so I have no idea whether the tea made me lose weight, but obviously if it did, the amount wasn't anything particularly noticeable. My stomach gets a lot less bloated now, though and I feel like my energy levels have definitely improved. Since finishing the teatox, my body seems to have more of an adverse reaction to any unhealthy food that I eat. Some friends visited last weekend and we dined out a lot, as well as indulged in some naughty treats. An hour or so after eating anything processed, greasy or full of rich, creamy ingredients, my stomach would let me know it was unhappy. Cue a bathroom break. So, in that sense, it definitely encourages you to continue with making healthier food choices, which can only be a good thing! You can never be sure how your body is going to react to a product like Bootea, so there's no guarantee that your experience will be the same as mine. If you're interested in giving this teatox a try, then the 14 day course costs £19.99 and the 28 day version will set you back £34.99, both of which can be purchased from Holland & Barrett. Have you ever embarked on a detox? 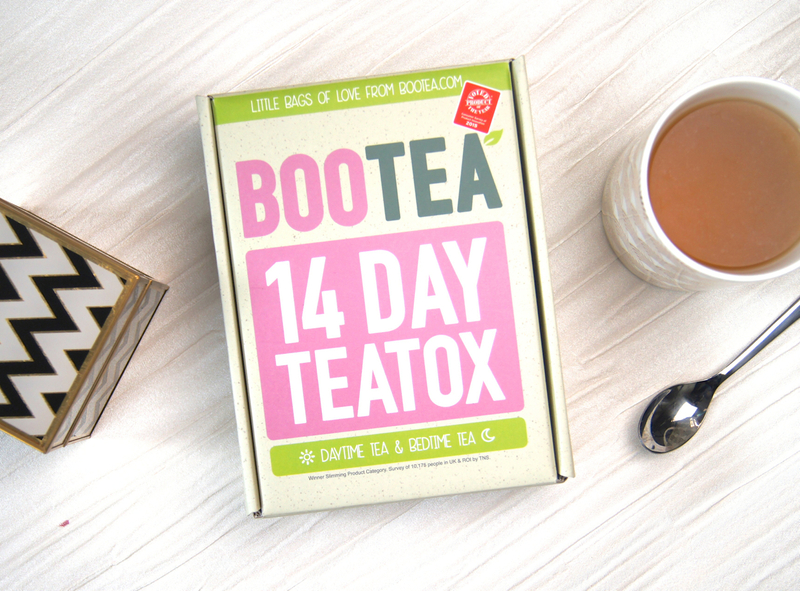 I've tried the Bootea detox as well, and I didn't notice a huge difference. I already drink a lot of green tea like you so i'm not sure if that had a bit of an impact. I'm glad I tried it though! Great post dear, was very interesting to read :) I wouldn't ever go on a teatox myself, but it's always wise to read up :) I'm glad you were sensible and actually did some exercise and ate a lot better, compared to others who expect the tea to do all the work!